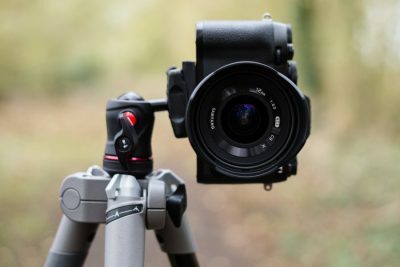 One of my favourite and most used techniques when shooting landscapes is focus stacking. 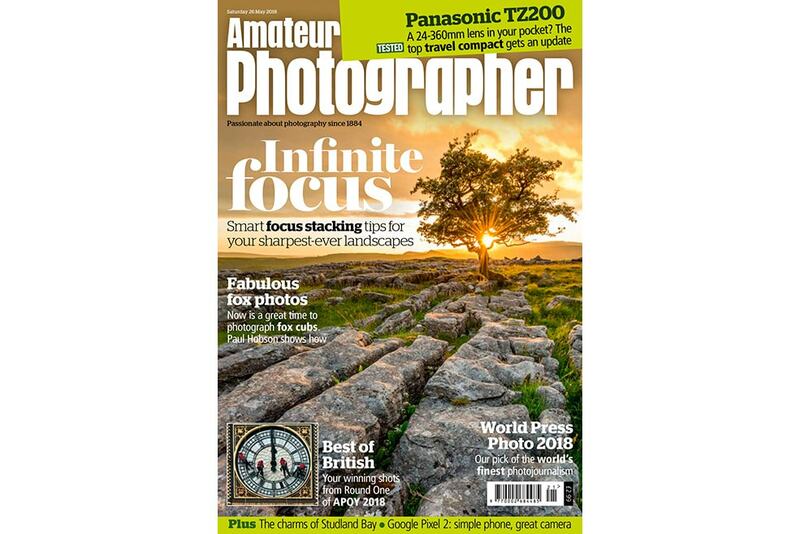 The article below, in the same issue of Amateur Photographer, covered all aspects of shooting and editing to show readers just how easy and effective the technique can be. The first spread introduced the technique and tyhe basic principles behind it. 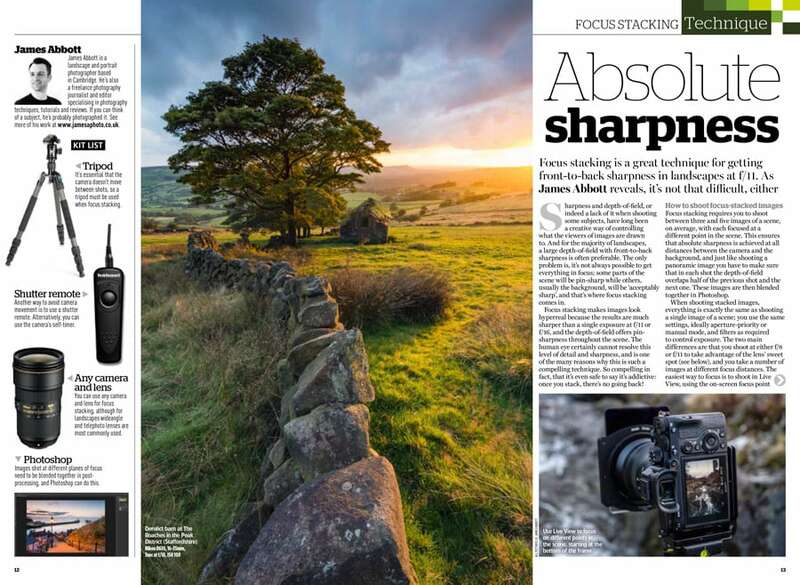 The second spread, below, looked at some of the reasons why focus stacking is important and when to use it. 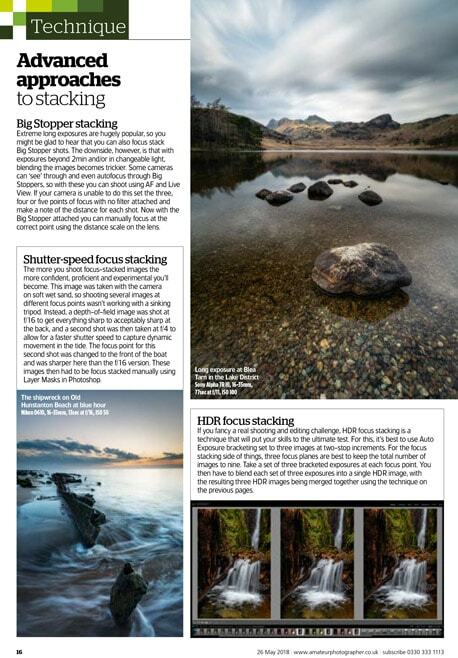 There was also a comprehensive guide to blending individual focus stacked shots together in Photoshop. 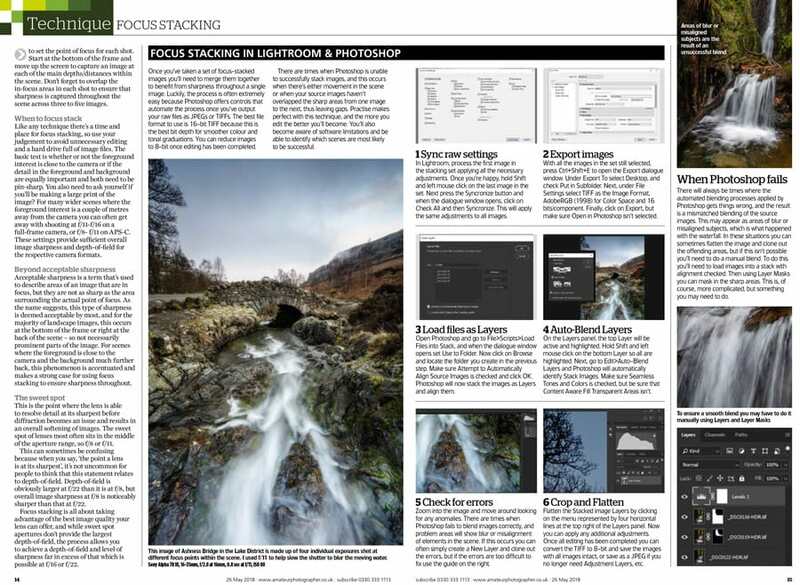 The final singe page highlighted some of the more advanced applications for focus stacking; ones where images are stacked alongside the use of additional techniques that make shooting and editing much more difficult. 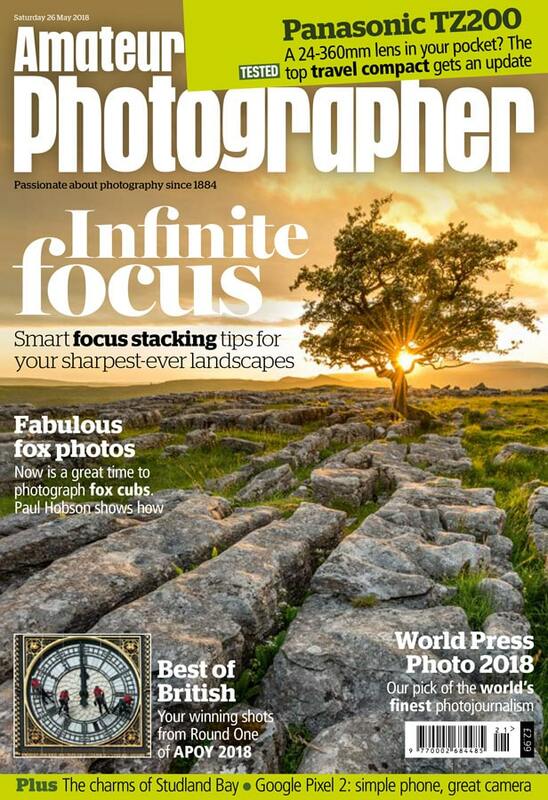 These included focus stacking Big Stopper shots, HDR images, and images where different shutter speeds were used for the same scene.